In my last installment of Living Barge I talked about some of Lisa’s unusual traits, specifically her love of cemeteries. Well it doesn’t stop there. My beloved wife is an artist, and she is constantly pointing out things that most people tend to ignore. For example she likes to take pictures of doors and windows. Don’t ask me why. 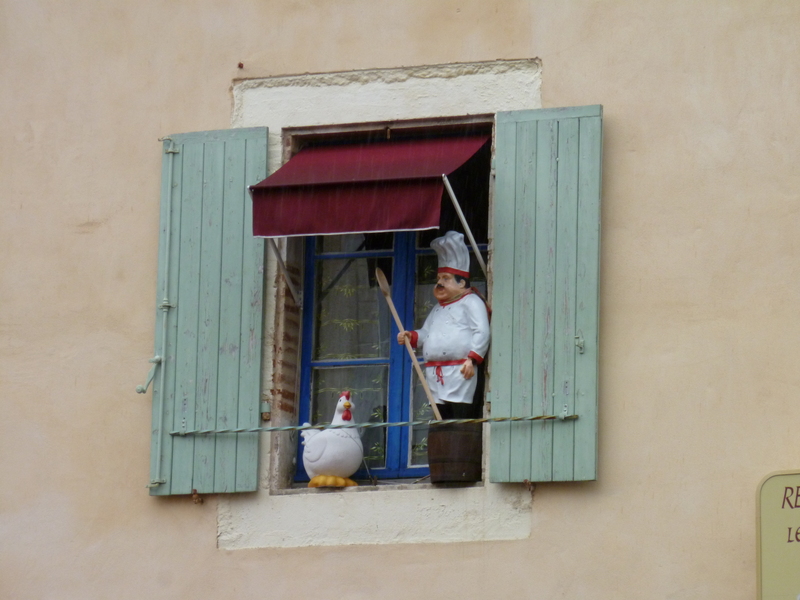 They’re just doors and windows, but she sees beauty in them so we have lots of pictures of Europe’s doors and windows. I suppose I shouldn’t complain. I can think of much worse things she could do like shopping. Wait a minute. She loves to shop. Oops, I better not go there. Okay, that’s a pretty nice gate. 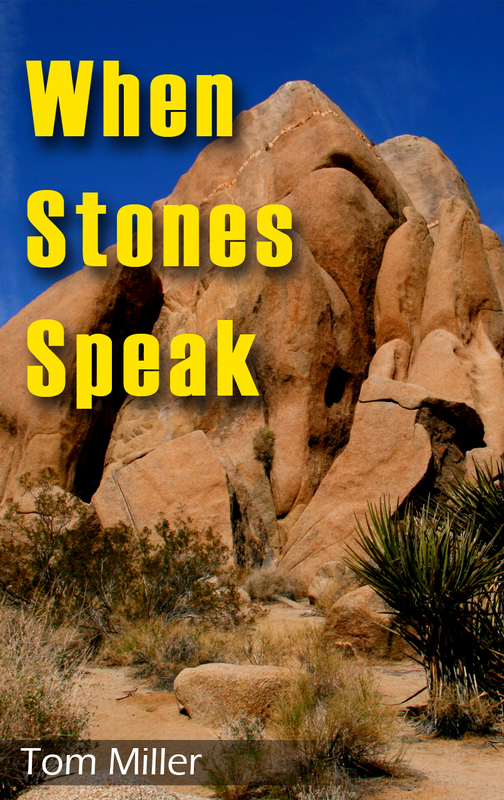 There was one thing that my wife’s artistic eye focused on that I had mostly ignored. It was the bridges in Paris. Not the entire bridge, but the artwork under the bridge. I have been around boats my entire life. I’ve sailed across oceans. Landed on some of the most remote islands in the world, and anchored off incredible beaches. And while there have been many highlights the ones that stick out most are sailing into New York, San Francisco and Paris harbors. What makes entering these three great cities so special are the bridges. In the case of New York it’s the Verrazano Bridge. Of course there’s San Francisco’s Golden Gate, but Paris is my favorite because there are so many bridges. 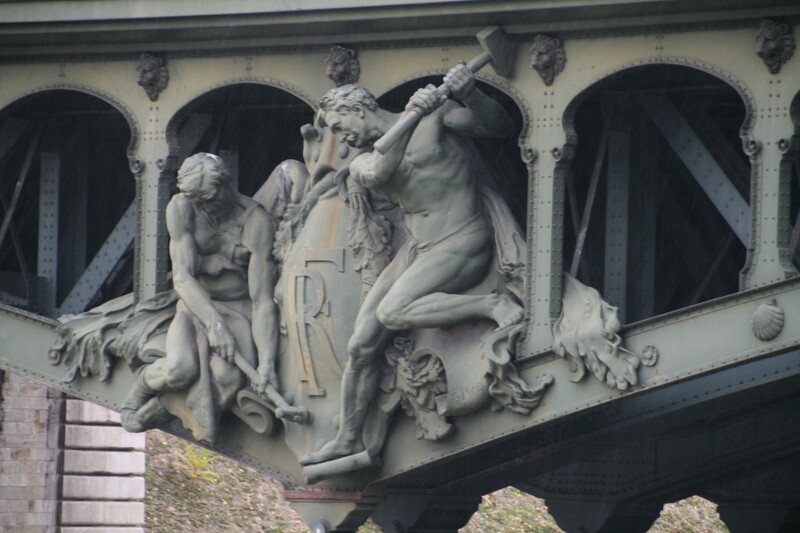 Not only does Paris have plenty of bridges, but their bridges are decorated with beautiful statue and carvings. 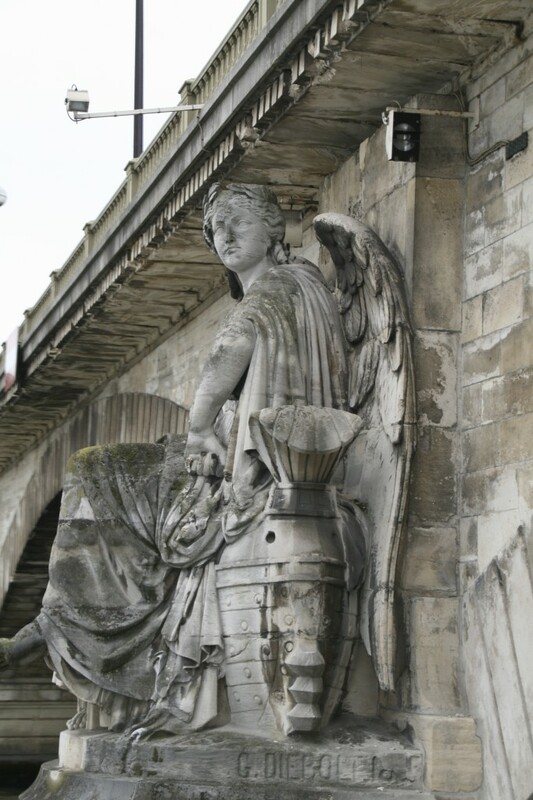 A sculpture under a Paris bridge. More artwork under a Paris bridge. While both San Francisco and New York have incredible skylines Paris has the history. How do you top cruising past Notre Dame, The Louvre, The d’Orsay, Place de la Concorde or the Eiffel Tower? Even the bridges have a story to tell. 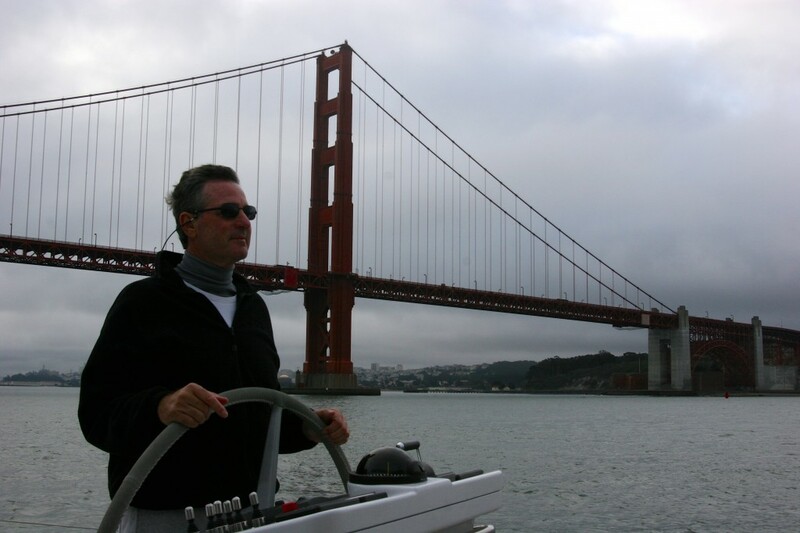 Sailing under the Golden Gate. 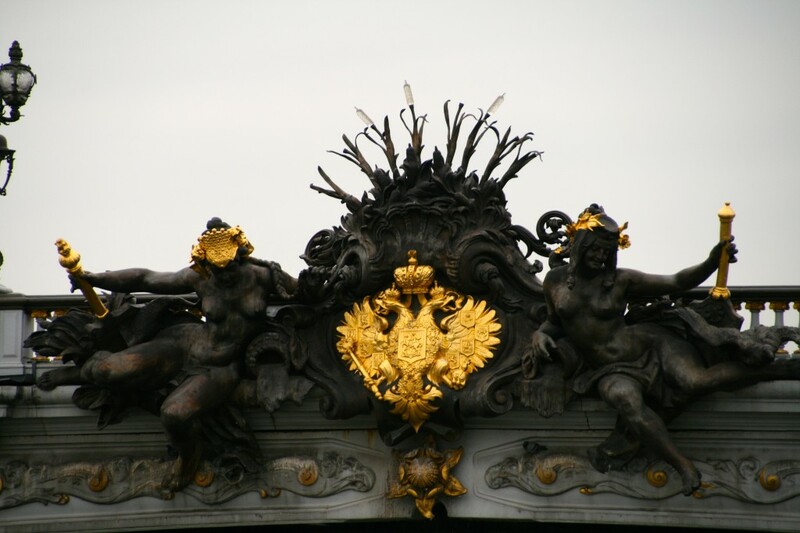 The Pont Alexander III Bridge is one of my favorites with its gold leaf statutes. It was named after Tsar Alexander III shortly after he concluded the Franco-Russian Alliance. His son Nicholas II laid the foundation stone in 1896 and the bridge was completed in 1900. It was a 19th century engineering marvel, as it was subject to strict controls. The engineers were not allowed to restrict the view of the Champs-Elysees or the Invalides. The four gold leaf bronze statues at each corner of the bridge are supported by 55 ft. tall pedestals that act as counter weights for the arch without obstructing the view. 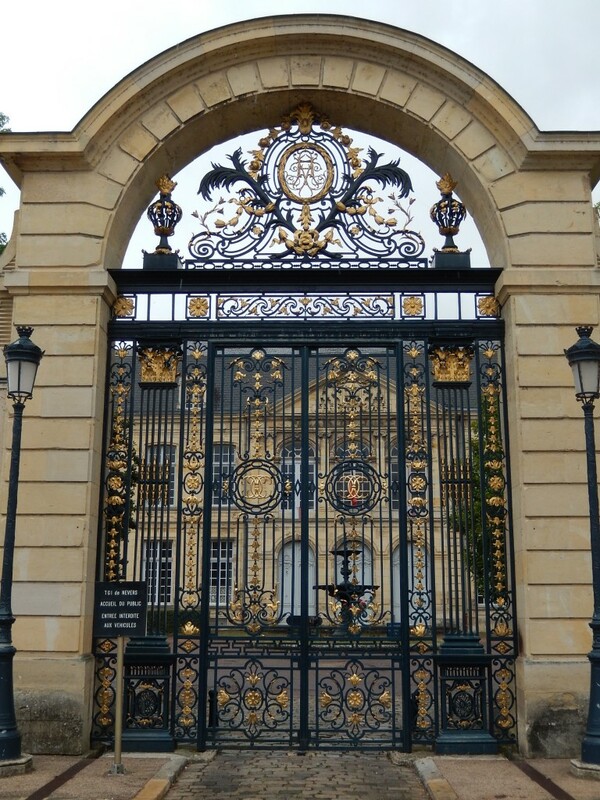 At the center of the arch is a bronze statue with the Nymphs of the Seine with the arms of France on one side and the Nymphs of the Neza with the arms of Russia on the opposite side. The center sculpture of the Pont Alexander III Bridge. 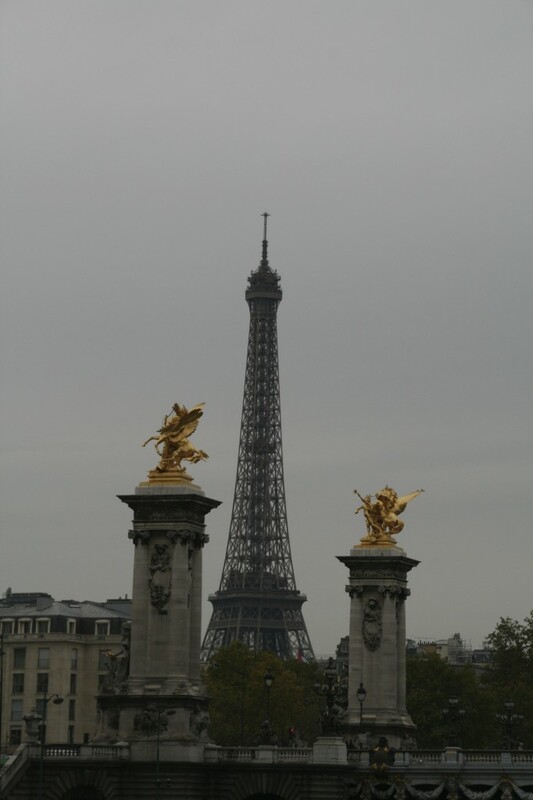 The pedestals that help support the Pont Alexander III Bridge. Unfortunately this year I didn’t get to take Rabelo into Paris because of the extended closure of the Seine. 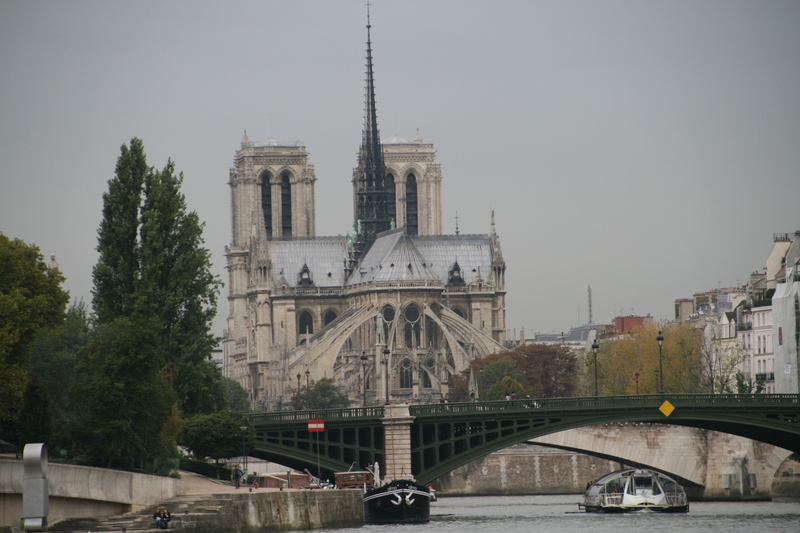 We were already in Southern California by the time Rabelo past by the Ile de Cite and Notre Dame. 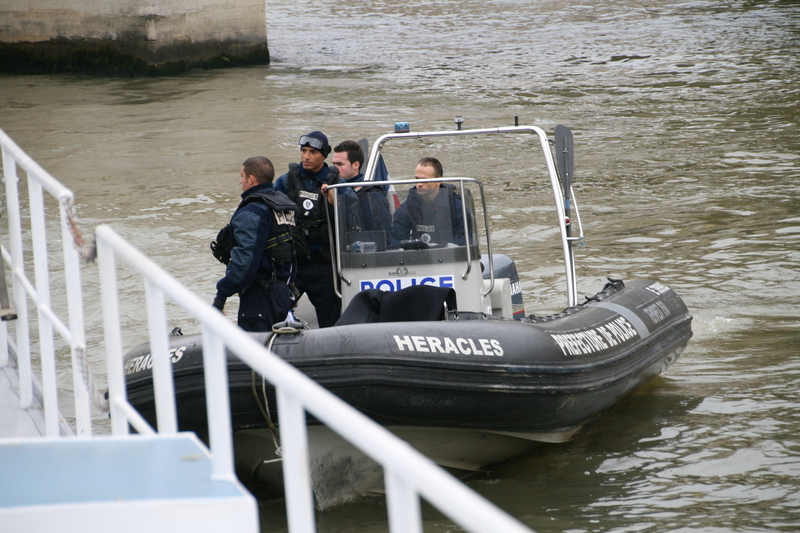 At least this time Wilco didn’t get a ticket when he sailed into Paris, or if he did he forgot to tell me. Rabelo getting a ticket, but no fine.